Jayde Robinson is back on YouTube doing more hair tutorials and we couldn’t be more excited to watch this kid in action. 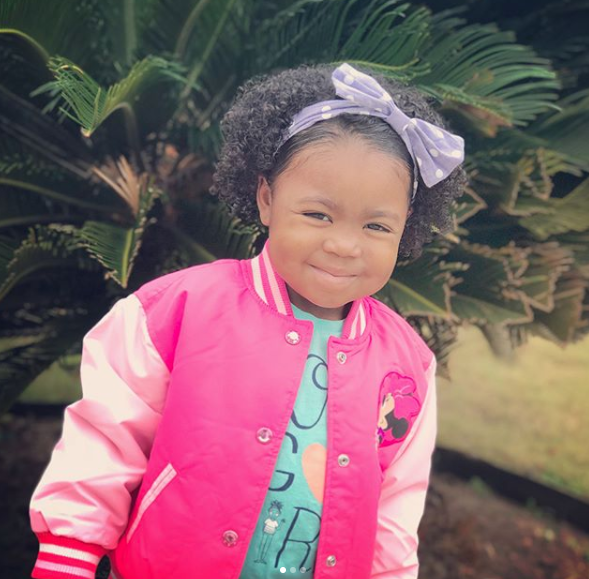 If you recall, we first saw the tiny tot after she went viral in 2017 with her salon talk video featuring her mom. Now, Robinson is back and this time we see her work on her own beautiful natural hair while spilling all the tea. Armed with a spray bottle, wide-tooth comb, and some Adwoa Beauty curl defining cream, watching this cutie do her hair will surely brighten your day. We can all relate to the struggle of making sure we cover our strands thoroughly with moisturizing cream, while attempting to hold a conversation with our friends on the phone (or in Robinson’s case, with her mother). If you check out the 2-year old’s channel, you’ll find a ton of hilarious and adorable videos of the toddler being chatty and curious, and you’ll also find some great hair inspo for kids as well.